Hundreds of Israeli settlers gathered on a main road in the northern West Bank on Monday and hurled stones at Palestinian vehicles, witnesses said. Locals told Ma'an that settlers arrived in buses to an intersection near the town of Yaabad near Jenin. 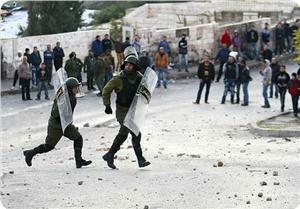 Under guard by Israeli troops, the settlers climbed a hill and began to hurl stones at Palestinian vehicles. 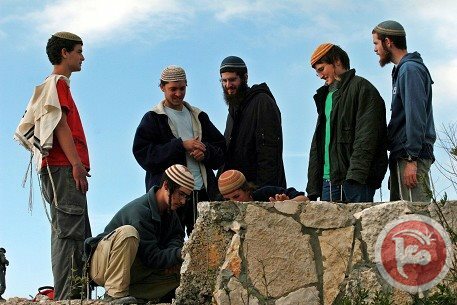 While throwing the rocks, the settlers chanted "Death to Arabs," witnesses said. The stones smashed through the windshields of several Palestinian vehicles as soldiers stood by, locals told Ma'an. Settler violence against Palestinians and their property in the occupied West Bank is largely ignored by Israeli authorities, who rarely intervene in the violent attacks or prosecute the perpetrators. Clashes erupted Sunday between Palestinian youths who threw stones and Israeli occupation forces (IOF) at an Israeli military checkpoint, west of the West Bank city of Tulkarem. Local sources said that a student rally started from Palestinian Technical University- Kadoorie on Sunday marking Land Day. The rally headed to an Israeli military checkpoint, west of Tulkarem, that is erected on Palestinian Kadoorie village, in order to plant trees near the separation apartheid wall. The forces fired tear gas and rubber-coated steel bullets that caused injuries and suffocation cases among the Palestinians. In a relevant vein, several Israeli military vehicles stormed al-Muqata’a street and al-Itisalat district in Tulkarem on Sunday, Palestinian youths chased them throwing stones. 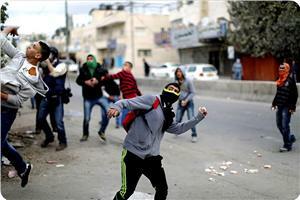 Israeli forces fired tear gas and sound grenades that caused suffocation cases among the youths. 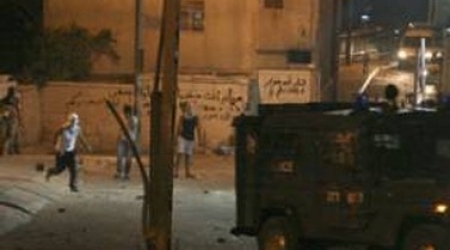 The occupation forces carry out night storms everyday in Tulkarem and its surroundings. However, the forces stormed the city surprisingly at daylight on Sunday. 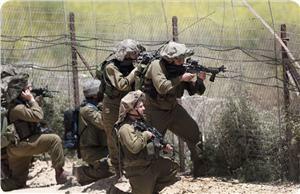 Israeli occupation forces (IOF) opened machinegun fire at a group of Palestinian young men who were demonstrating near the border fence east of Khuza’a town to the east of Khan Younis, south of the Gaza Strip, on Monday morning. A field observer said that dozens of young men marched from Khuza’a toward the border fence to plant olive trees on the occasion of Land Day. He said that participants raised Palestinian flags and chanted slogans affirming insistence not to surrender an inch of national soil and affirming rejection of negotiations. The observer said that the young men managed to cross the fence and raise the Palestinian flag there but IOF soldiers opened heavy gunfire at the youths, who threw stones at them. No casualties were reported. Meanwhile, Israeli warplanes launched mock raids on Gaza for the second day running Monday. An eyewitness said that an Israeli F16 dropped a number of bombs in the sea off Gaza coast causing big explosions that were heard all over the enclave. Israeli warplanes have been flying at low altitudes over the Gaza Strip over the past few days raising fears among inhabitants of possible raids. Palestinian medical sources said a young Palestinian man was shot and injured by an Israeli settler, south of Nablus, in the northern part of the occupied West Bank. A young man was also injured after being attacked by settlers in occupied Jerusalem. The sources stated that Nidal Yousef Shihada, 25, from Orif town, southwest of Nablus, was shot by a live round in his leg, and was moved to a local hospital. 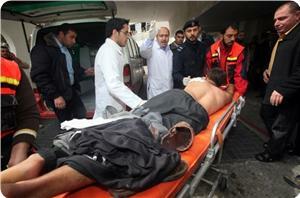 The incident took place at the Jeet Junction; the wounded young man was moved to the Rafidia Hospital in Nablus. On Sunday at night, resident Ghaleb Edrees, 24, was injured after being violently attacked by a group of settlers in the al-Qarmy neighborhood, in the Old City of occupied Jerusalem. Eyewitnesses said the settlers sprayed Edrees’s face with pepper spray, and assaulted him. He was moved to the Shaare Zedek Medical Center in Jerusalem suffering moderate injuries, especially in the face, chest and legs. Resident Jawad Edrees said the attack took place after a group of settlers invaded the neighborhood and attacked Edrees and his friend. An Israeli settler shot at and wounded a Palestinian man west of Nablus on Sunday night, local sources in Nablus city said on Monday. They said that 25-year-old Nidal Yousef Shehada, from Orif village south of Nablus, was hit with a bullet in his foot on Sunday night. They said that Shehada was changing his car’s flat tire near Jet village juncture, west of Nablus city, when an Israeli settler opened fire at him. The sources said that Shehada was taken to Rafidiya hospital where his condition was described as moderate. 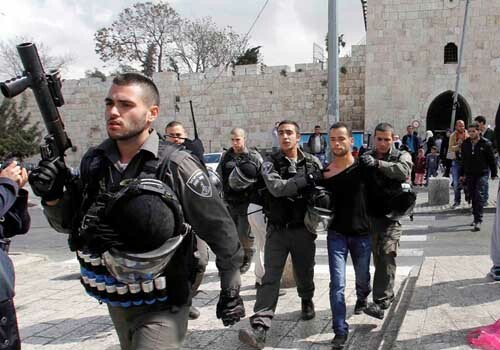 The Israeli forces arrested on Saturday after midnight three young Jerusalemite men from the village of Esawyeh. Wadi Hilweh Information Center was informed that the occupation forces arrested Waheeb Obeid, Mohammad Obeid and Mufeed Obeid. Mohammad Abu Hummus, member of the follow-up committee in Esawyeh, explained that the occupation forces raided the village and broke into several houses in Hosh Obeid and damaged the contents of the houses resulting in the breakout of violent clashes where the forces fired rubber bullets and sound grenades towards the citizens. 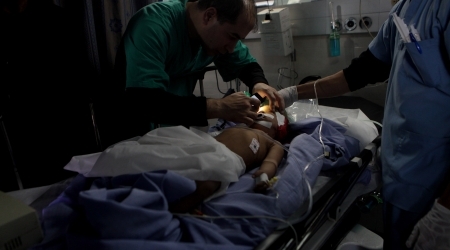 Seven children were injured by an unidentified explosion in Rafah in southern Gaza on Sunday, a medical official said. Ashraf al-Qidra told Ma’an that seven children were injured in the explosion, which was suspected to have resulted from old Israeli ordnance in al-Saudi camp in the Tal al-Sultan area in Rafah. Six of the Injured were identified as Ahmad Imad Abu Muhsen, Mohammad Imad Abu Muhsen, Ameen Imad Abu Muhsen, Mahmoud Wael al-Nerab, Momen Wael al-Nerab, and Rajab Mohammad al-Maghaari. They were taken to Abu Yusef al-Najjar Hospital with moderate and serious injuries. Seven Palestinian minors have been wounded in an explosion in Tal al-Sultan district to the west of Rafah, southern Gaza Strip. Ashraf al-Qedra, the health ministry spokesman, said in a statement that seven children were injured, including one seriously, in a mysterious explosion in Rafah. The ages of the children are between 10 and 13, he said. Policemen arrived at the scene to investigate the incident. In a flagrant announcement, Israel's Economy Minister Naftali Bennett threatened the Palestinian President Mahmoud Abbas, who threatens to go to UN institutions in case of Israel's disapproval of Palestinian prisoner's release. Israel's Channel 7 quoted Bennett as saying that the Palestinian President is threatening Israel to head to UN institutions, adding that Israel will find a way to prevent him. Bennett stressed that Israel will know how to behave with the Palestinian president and chairman of the Fatah movement and will condemn him for attempting to cause harm to Israel. Bennett said that "let Abbas, who doesn't have security, army forces or economy, to confront us." 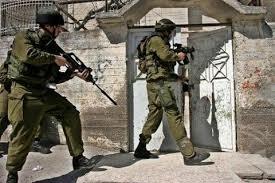 Adding, the Israeli Army is able to occupy the Palestinian cities during less than two minutes. Bennett advised Abbas not to threaten Israel because he has no state with borders and no potentials, despite that the UN has recognized his state, yet it doesn't mean anything to Israel. Bannett said that he advised Abbas to continue with the negotiations with Israel, adding that he is not against the negotiations, but against using the negotiations to blackmailing Israel. He also said that Israel must not be afraid of Abbas' threats regarding their decision to go to the United Nations. Bennett demanded that Israel must ask itself a deep question of what is the point to continue with the negotiations, if Abbas is still determined not to recognize Israel as a 'Jewish State', adding that the land is the land of Israel and the Jews that God promised them, a thing that Muslims and Christians refuse. Bennett said that the US proposal to release 400 Palestinian prisoners are just rumors, saying that the Israeli government didn't discuss these proposals in its session. 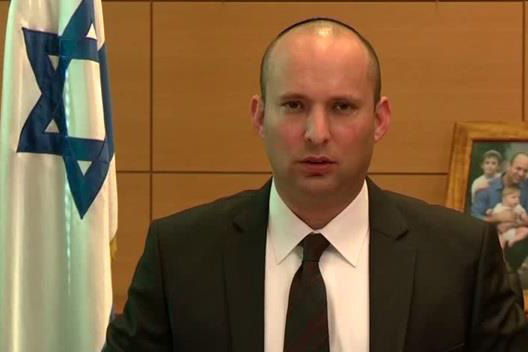 He added that the Palestinian persistence on releasing the Palestinian prisoners who live inside Israel, is –according to Bennett- an attack against Israel. Bennett considered that the Palestinian President's insistence on the releasing of the prisoners is just "dreams and illusions", and that his party will be ready to leave the Netanyahu's government if Israel approved to release the prisoners. 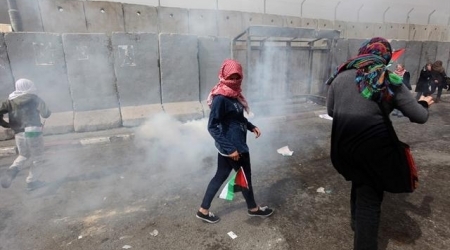 Israeli occupation forces (IOF) used rubber bullets and teargas to quell a peaceful march in Beit Umamr village on Sunday organized to commemorate Land Day. Eyewitnesses told the PIC that IOF soldiers had stationed at the entrance to the village since the early morning hours in anticipation of the demonstration and brutally dealt with the peaceful march. They said that hundreds of citizens participated in the march that was violently suppressed. Other confrontations were reported in Tulkarem, Ramallah, and Bethlehem between the heavily armed IOF soldiers and Palestinian citizens. Local sources in Tulkarem told the PIC reporter that Palestinian Authority security forces prevented citizens from clashing with IOF soldiers at the city’s outskirts. They said that the soldiers fired teargas bombs at the participants in the march causing breathing difficulty among dozens of them. Violent clashes were reported on Sunday morning between Israeli occupation forces (IOF) and dozens of Palestinian young men at Qalandia roadblock to the north of occupied Jerusalem. Local sources told the PIC reporter that the young men threw stone at the IOF soldiers manning the checkpoint while the soldiers fired stun grenades at the youths. 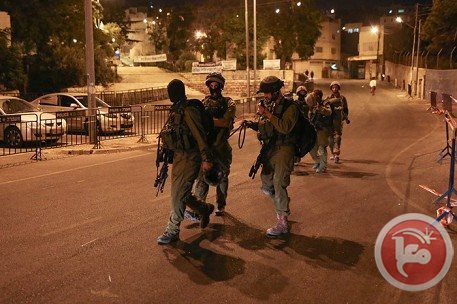 Similar confrontations were reported in Issawiye village in which a young man was wounded with a rubber-coated bullet in his foot and three others arrested after IOF soldiers raided the town at dawn Sunday, Issawiye follow up committee said. Raed Abu Riyala, the committee’s spokesman, said that IOF soldiers raided the town and broke into and ransacked many homes in Obaid suburb. 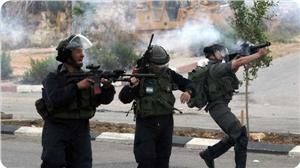 He charged the IOF soldiers with beating up inhabitants with batons and using pepper spray against them. A group of Israeli settlers of the Keryat Arba’ settlement, and nearby illegal outposts, in the southern West Bank city of Hebron, attacked Palestinian homes and stores in the city. 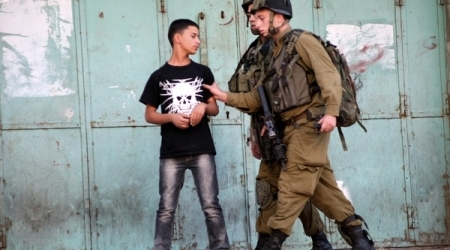 Soldiers have been reported to have kidnapped three Palestinians. The settlers attacked homes in the al-Ja’bary neighborhood, and the ar-Ras area, hurling stones and empty bottles at them while shouting and cursing at Palestinian families. 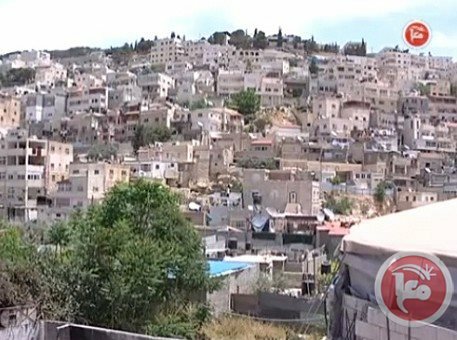 Resident Bassam al-Ja’bary told the Ma'an News Agency that dozens of settlers surrounded local homes, and attacked them. And, when Palestinians objected to the Israeli army's actions, the soldiers kidnapped his brother and his cousin. He added that the families filed a complaint at the District Coordination Office, in an attempt to have the army remove the settlers, but the soldiers failed to act against the assailants and, instead, attacked the residents, kidnapping two. The WAFA News Agency has reported that the settlers broke into several stores. in the Old City of Hebron, smashing doors, displacing several pottery items in a number of stores. Eyewitnesses told WAFA the settlers came from Keryat Arba’ and a number of illegitimate outposts installed on private Palestinian property. Furthermore, soldiers based on a roadblock close to the Ibrahimi Mosque in Hebron, kidnapped a young Palestinian man, taking him to an unknown destination. In related news, several Israeli military jeeps invaded Kufur Qaddoum town, east of the northern West Bank city of Qalqilia, leading to clashes with local residents. Medical sources said that at least three Palestinians, including a child, were injured by Israeli army fire during the invasion. No arrests were reported. Dozens of Palestinian young men took part in a demonstration in occupied Jerusalem on the eve of Land Day to protest Israeli constant violations of their rights. An Israeli police statement on Saturday claimed that the youths threw stones at Israeli policemen and border guards and chanted protest slogans. It added that the policemen responded by firing teargas and live and rubber bullets to disperse the young men, adding that six of the demonstrators were arrested. A statement for the national and Islamic forces in occupied Jerusalem said that preparations were finalized for celebrating Land Day on Sunday. It pointed out that no declaration would be made on locations of those celebrations in light of the Israeli occupation authority’s threat that it would close down any institution or center in which such celebrations are held. The Israeli occupation forces (IOF) on Saturday morning quelled demonstrations staged by dozens of Palestinians near the border fence in the north of Gaza, in commemoration of the Land Day. The Palestinian Ministry of Agriculture has called for planting olive trees east of the town of Jabaliya northern Gaza, near the border fence. Dozens of citizens took part in the event, during which they raised Palestinian flags and chanted slogans demanding the end of the Israeli occupation. 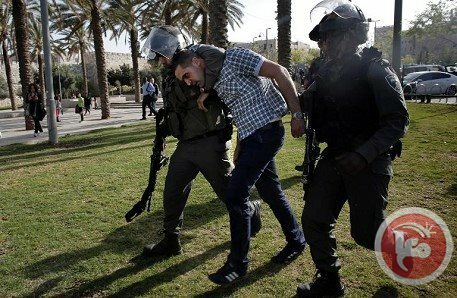 Quds Press quoted an eyewitness as saying that a number of demonstrators were able to cross the fence and entered to the 1948 occupied territories, where they tried to plant trees and raised the Palestinian flag. 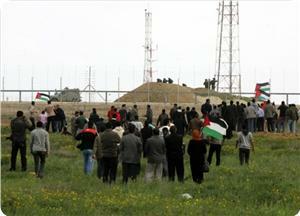 The witness added that the IOF fired gas bombs and live bullets toward the participants in the event to disperse them. No injuries were reported, he said. Israeli navy boats opened fire on a number of Palestinian fishing boats in territorial waters. northwest of Gaza City; the attack caused damage but no injuries. The Palestinian News & Info Agency (WAFA) has reported that the boats were less than six miles away from the Gaza shore, and had to sail back to the shore, fearing additional assaults. 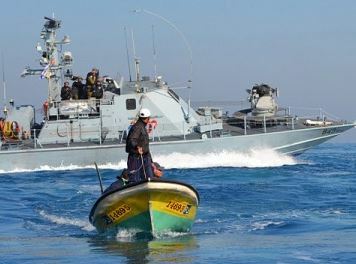 The attack is part of ongoing violations carried out by the Israeli Navy against the fishermen and their boats in Palestinian waters, even while docked at the shore. On Wednesday, March 26, four fishermen were wounded after Israeli navy arsenal opened fire on their fishing boats near the Rafah shore, in the southern part of the Gaza Strip. The army also fired rounds of live ammunition at a number of homes. As part of the ceasefire agreement of November, 2012, Israel agreed to allow the Palestinians to fish within six nautical miles, but unilaterally decreased the allotted area to three miles. Last May, Israel decided to allow the fishermen to fish within six nautical miles, but the Israeli navy continued to attack them, even within the three nautical miles. Under the Oslo accords of the mid-nineties, Palestinians are supposed to be allowed to fish within 20 nautical miles off the Gaza shore, but Tel Aviv has constantly violated the agreement.